Save 15% This Halloween Weekend With Pro-Line « Big Squid RC – RC Car and Truck News, Reviews, Videos, and More! 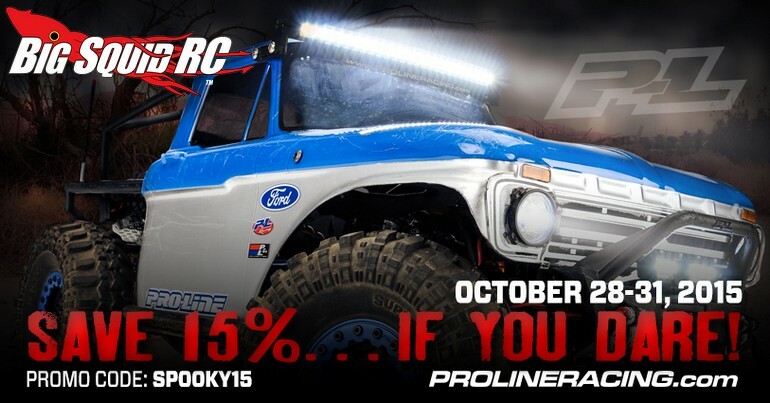 From October 28th to the 31st you can Save 15% on your favorite Pro-Line products by entering the code SPOOKY15 at checkout on Pro-Line’s website. Maybe you need some new tires or want to change up the look of your rig with a new body, whichever it might be, this weekend Pro-Line makes it easy for you to save some cash. For more information hit up This Link over on Pro-Line’s official website and you can click Right Here to get more Pro-Line news on BigSquidRC.